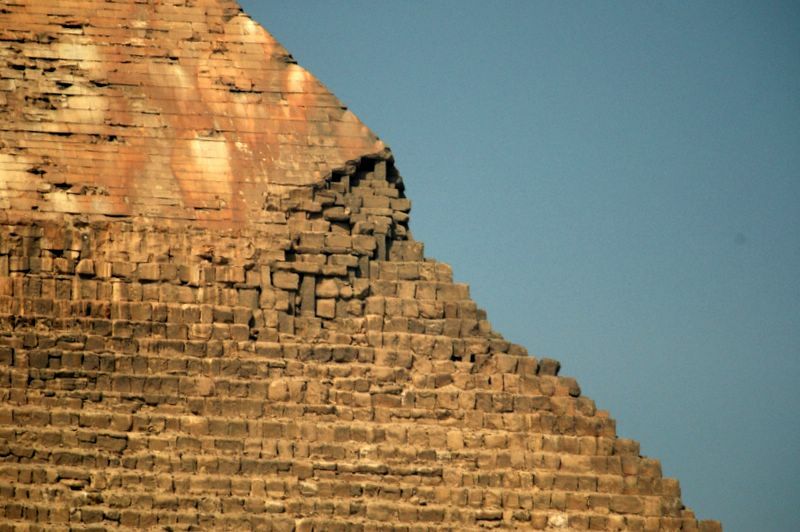 The second pyramid is built by pharaoh Chefren about 2650 B.C. and its height is 136 m. The smaller one with a height of 63 m is supposed to be built by pharaoh Mykerinos about 2600 B.C. On the top it still has the white limestone smooth surface which used to be covering all pyramids. Cairo â€“ Egypt 2006.